Is Notre Dame's President A Liar Or A Fraud? If it’s been too long since the last time you got teeth-achingly angry over some dipshit’s explanation for why college football players shouldn’t be paid, head on over to The New York Times and read Dan Barry’s conversation with Notre Dame’s president, Rev. John I. Jenkins. The president rejects the notion that Notre Dame is morally obliged to share its football revenue with those playing the game. “I don’t think there’s a compulsion or some demand of justice that we do it,” he says. His position — his North Star, he calls it — may be dismissed by some as trite, even convenient, but here it is: Notre Dame is an educational institution, and athletics, while diverting and instructive in its own right, is meant to serve the educational purpose. He believes that the drama and popularity of college athletics are rooted in the fact that the student-athletes are amateurs. “If they make mistakes, you know, it’s not like they’re professionals,” he says. 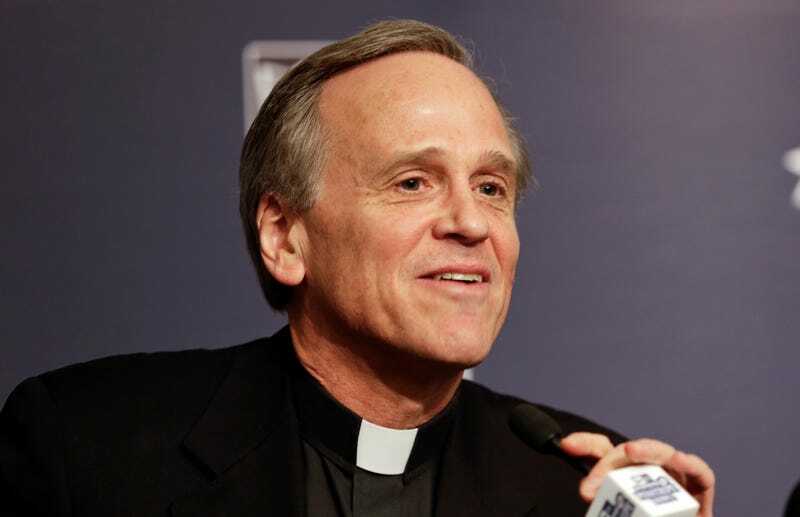 Father Jenkins says that he could see two separate collegiate athletic associations — one following the semiprofessional model, the other dedicated to preserving what he calls “the essential educational character of college athletics.” In belonging to the latter, he says, Notre Dame would be just fine, financially and otherwise. The trouble with Jenkins is that it’s hard to tell if he’s just bullshitting, or if he really does believe a) that people watch and pump money into college sports because they are charmed by the noble ideal of amateurism and b) that getting paid fairly for the work you do is morally corrupting. If you got an SEC school’s president drunk enough, he’d probably morph into Boss Hogg and tell you that he just really likes being rich and he’s going to keep the scam running until he has to cut the kids in on it, at which point he’ll gladly do so. The Times piece, though, leaves you with the sense that Jenkins is a true believer in the idea that young people need to have the type and amount of compensation they can get for certain kinds of work set by a self-interested cartel. Here’s a good way for Jenkins to prove his honesty: he can go right ahead and enact all of the hypotheticals he laid out to the Times. If he truly believes that football should not take precedence over education, that the university would be just fine without its TV contract and Under Armor sponsorship, and that money only cheapens college football, he can go right ahead and opt out of the machine. Nobody is stopping him from turning Notre Dame football into a club sport that doesn’t produce millions of dollars in revenue but does improve the educational experience of students who just want to get some physical activity while they learn about Aquinas and physics. If he doesn’t, it must be either because he doesn’t really want to, or he’s afraid to act on his convictions. Who can tell which it is?